Welcome to Purple Driving - let Helen help you find the best route to your new driving licence! Today, Sam's aim was to improve his braking at junctions and roundabouts (RBS). On his previous lesson he had problems getting his feet to work when he wanted them to and this resulted in him depressing the clutch about 3 seconds before he even covered his brake pedal, which resulted in him braking harshly and sometimes stopping over the give way lines. As you will see from the video, I had wanted to introduce the concept of moving off with gas this lesson, but when I discussed this with him he felt he didn't want anything extra to have to think about. Click HERE to watch this driving lesson. 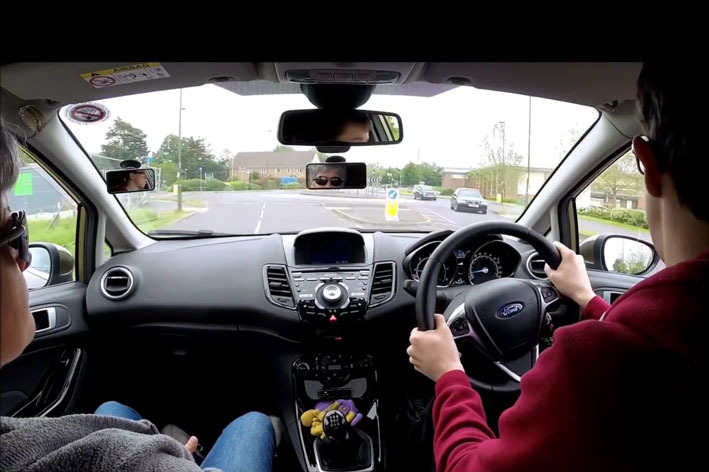 If you have dyslexia, and are having issues with your driving lessons, do feel free to get in touch with me, or you may find it helpful to watch Sam in action on my YouTube channel, Purple Driving. Purple Driving, an independent driving school run by Helen Adams ADI, a Grade A driving instructor, providing you with quality driving lessons in Bognor Regis & Chichester, West Sussex.